Our pictures weren't about the photographer telling us what standard pose to do, it was about capturing the special moment happening in our lives right there and then. I wouldn't change anything about how the pictures turned out. We love how each of our pictures are unique and not your "typical" wedding photos! We truly feel that the pictures tell our story! We loved every aspect of using Landon as our photographer for our wedding. Everything was truly beyond what we expected. 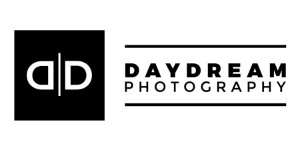 Our honest opinion is that DayDream Photography is AMAZING! The whole experience was great, but my favorite part would be viewing the photos… despite my girls creating a scene with their sub par behavior. Sitting on a comfy couch, lights out the music begins and the slideshow starts, not at all what I imagined it to be… so much better. Silly to say, but brought tears to my eyes viewing awesome photo’s of my family, in such a unique way. Landon’s work speaks for itself, but I guess I can share a few of my thoughts. He is an incredibly talented photographer with an amazing eye and perspective. The process of taking family photos (especially with young kids) can be a stressful one, but he made it fun and honestly a stress free experience. My photos are priceless. Amazing!!! Anyone can take a picture - not everyone can capture a snap shot of someone else's life that will always carry meaning. Beside the fact that he is very professional and does amazing work, he made us feel very comfortable and I think our pictures prove that. He caught snap shots of love and happiness that were real because he spent time getting to know us. I love that Landon has so much patience and really tries to connect with kids. You can tell he really loves what he does. It is amazing what pictures are produced. Landon is more than a photographer he is an artist. He is truly tremendous with what he can create with a camera. The studio and staff are great and it is obvious that Landon really cares about what he does and wants to make sure we are beyond satisfied with our pictures. I love DayDream Photograph! I'm so glad you've done my senior pictures as well as my sisters senior pictures! Dude! You are awesome! So glad we found you. If we ever ask you to meet us in Fiji or Hawaii its because we moved there and we want the same quality of family pictures that we had from the beginning! :) Thanks so much! Landon- Thanks AGAIN for the awesomeness!!! I can't believe these came in SO fast! They are amazing and JUST what I wanted for Caeden's first year pictures and our first official family pic! So very glad we chose Daydream, couldn't have asked for better service or pictures! Will definitely use them for all portrait needs in the future. Can't wait to have another opportunity.